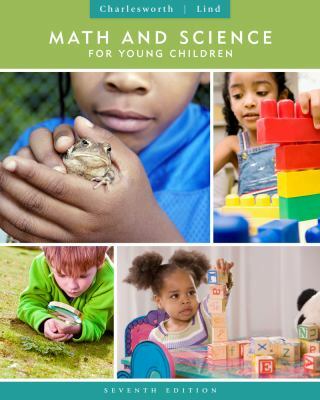 Make sure you buy Math and Science for Young Children online from our discounted website now. Written by Rosalind Charlesworth and Karen K Lind, this affordable textbook can be rented too if you wish. It was published in this 7th edition version by Wadsworth Publishing in 2012. You can delve into this vast and fascinating area with ease when you get Math and Science for Young Children used copies from our marketplace. Why pay full price when you can buy discounted copies of the textbook you really need? Be sure to sell back to us later if you find you no longer need your book as well. Rosalind Charlesworth is the author of 'Math and Science for Young Children', published 2012 under ISBN 9781111833398 and ISBN 1111833397. Loading marketplace prices 35 copies from $4.94 How does the rental process work?